University, where she earned her Master of Educational Technology Leadership degree. 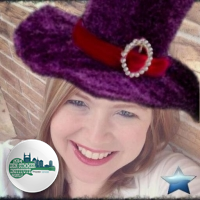 An enthusiastic lead learner and connected educator, Cori has attended over 50 edcamps & presented at many conferences including SXSWedu, TCEA, ISTE, FETC, iPadpalooza, LearnFest, TCCA and more. She served on the ISTE 2017 Program Committee and plans on continuing her doctoral studies this year.